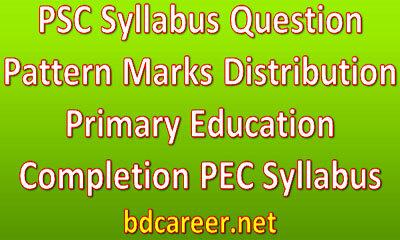 PSC Syllabus Question Pattern Marks Distribution 2018 New Updated. 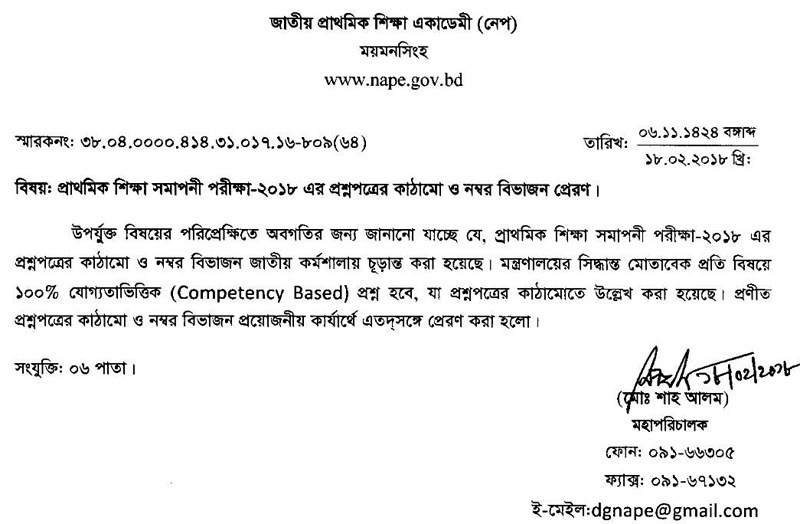 Primary Education Completion (PEC) Exam Question Pattern and Marks Distribution 2018 have been finalized by National Academy for Primary Education (NAPE) for the upcoming Primary Education Completion Examination 2018. 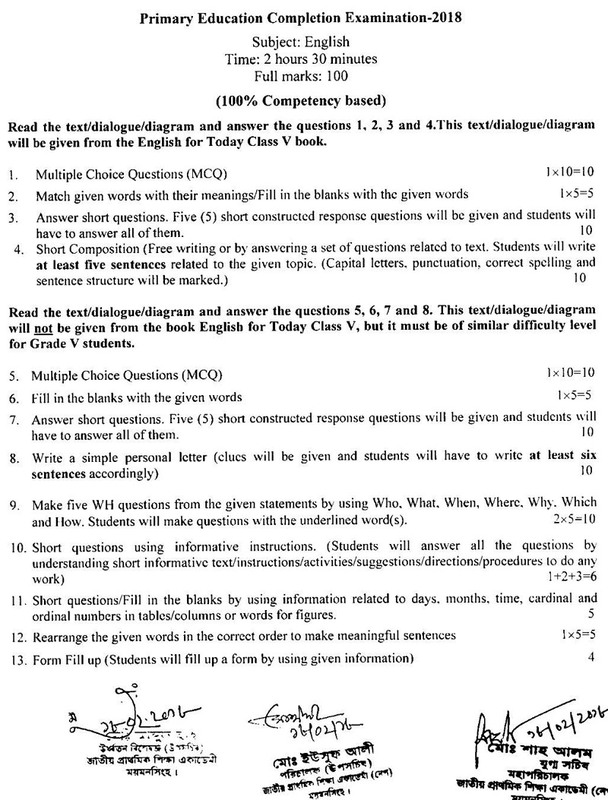 According to the decision of the Ministry of Primary and Mass Education (MOPME), this new question pattern 100% question will be made on Competency-based and the remaining 0% question will be made on the traditional method. 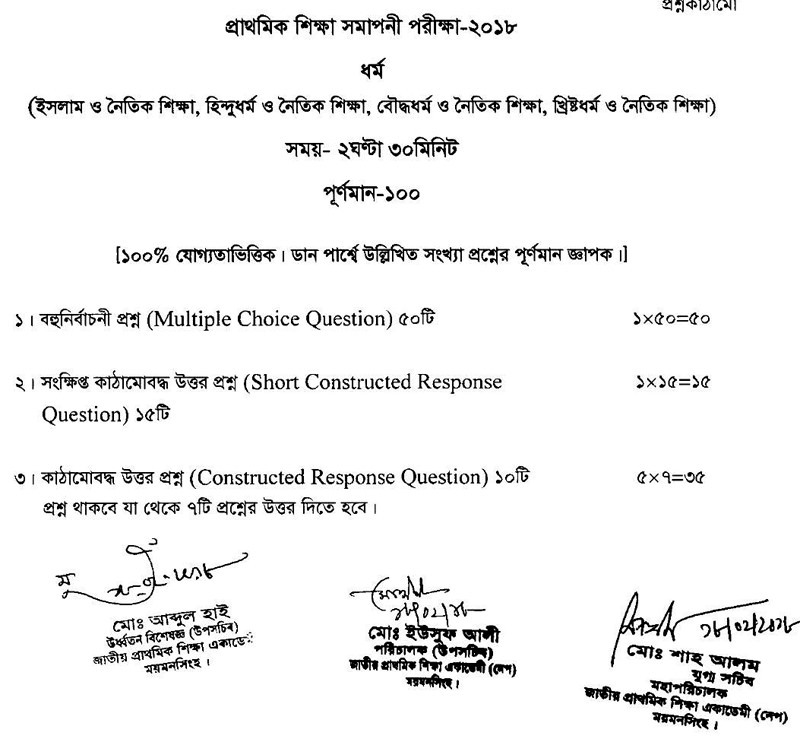 PSC Syllabus Question Pattern Marks Distribution 2018. 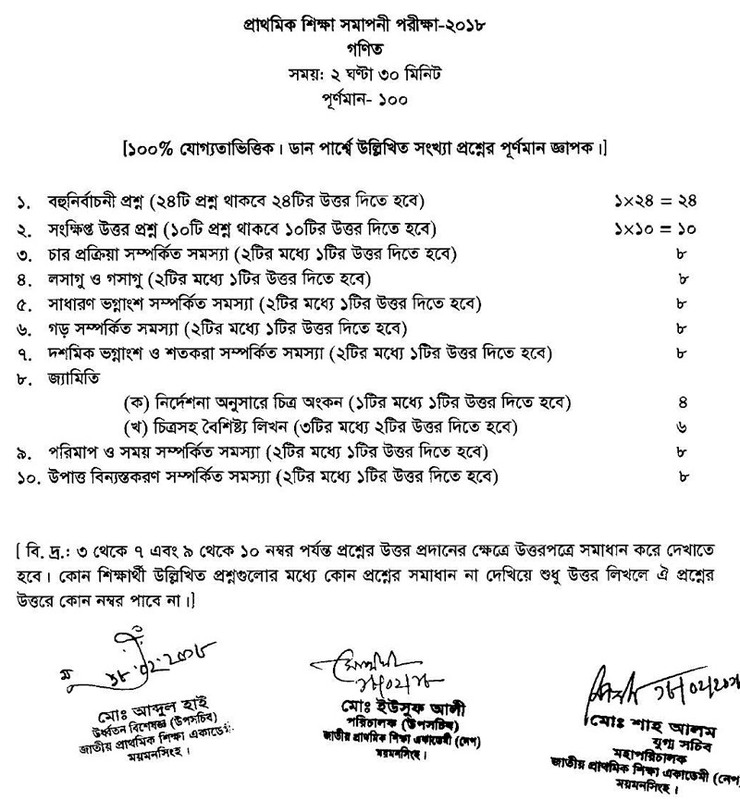 Primary Education Completion Examination 2018 Syllabus and Marks Distribution Structure have been finalized by Ministry of Primary and Mass Education (MOPME), Directorate of Primary Education (DPE), National Curriculum & Textbook Board, National Academy for Primary Education (NAPE), field officers and teachers on 18 February 2018. 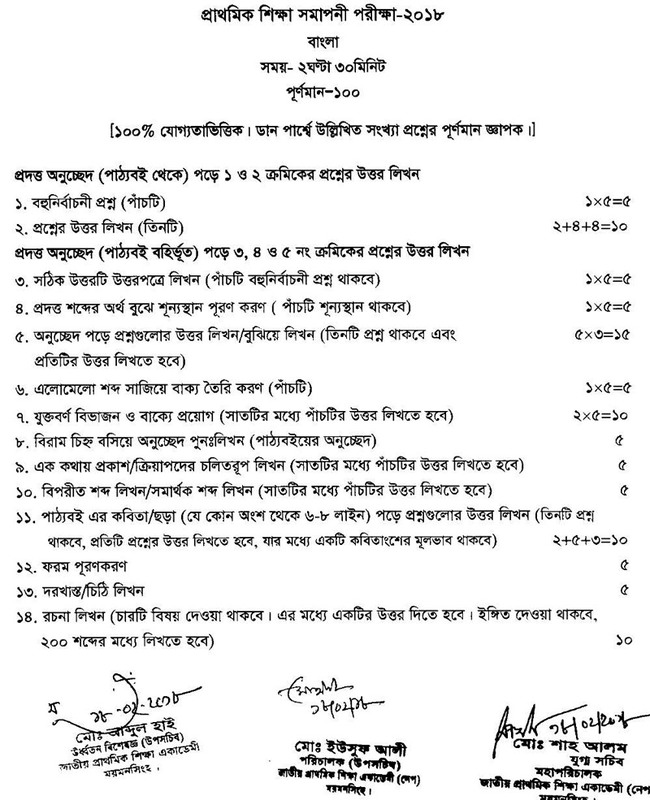 There are total six subjects in Primary Education Completion Examination (PEC) National curriculum in Bangladesh. They are Bangla, English, Mathematics, Primary Science, Bangladesh and World Introduce and Religion.